I’m linking up with Katie Did What to share some things I’ve been loving lately. 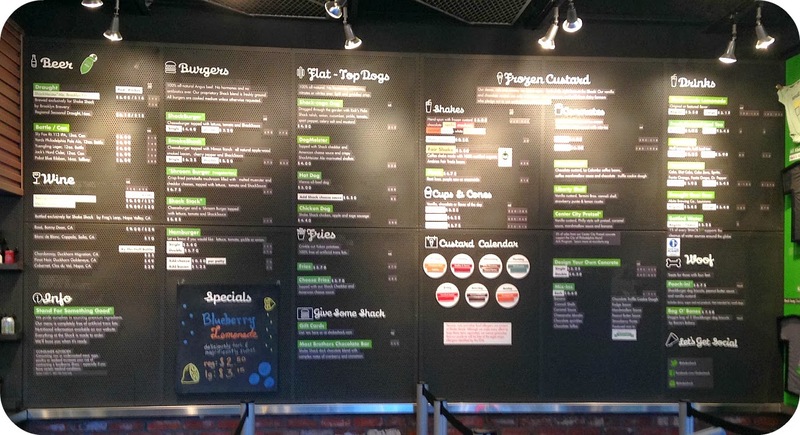 Food: Shake Shack – G and I tried it out this weekend, and it was delicious! I got the ShackBurger and blueberry lemonade. It was the most amazing burger I’ve had in a long time – cheesy, fresh, and it came with this yummy Shake Sauce. I could have eaten two. I wanted to try one of their Concrete’s, because who doesn’t want to eat ice cream with a name like Concrete, but I had to let my nice greasy burger digest first. We went out for froyo later that night…MMMM. Cats: My cats are fur-beasts,. 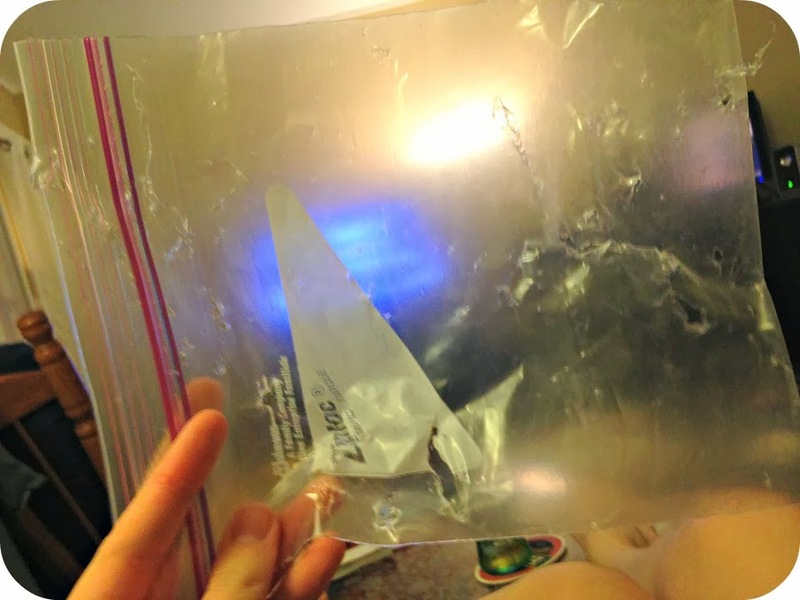 Luna is obsessed with plastic bags, because usually they contain treats, which she breaks into and devours like some kind of cat vacuum. Here is the completely not guilty fur-beast, herself. 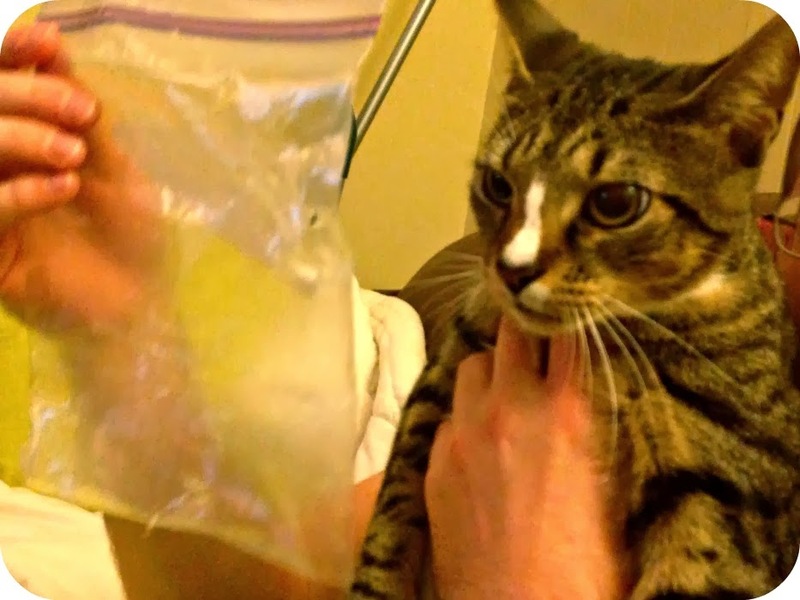 Do you see the lack of shame in those eyes? Shopping: Creature Feature Top by Anthropologie. One in every different pattern, please. Puppies, hedgehogs, and bunnies…almost too much adorable to take. Scary Movies: Doesn’t matter if I close my eyes and put my hands over my ears at some parts. I LOVE scary movies!! 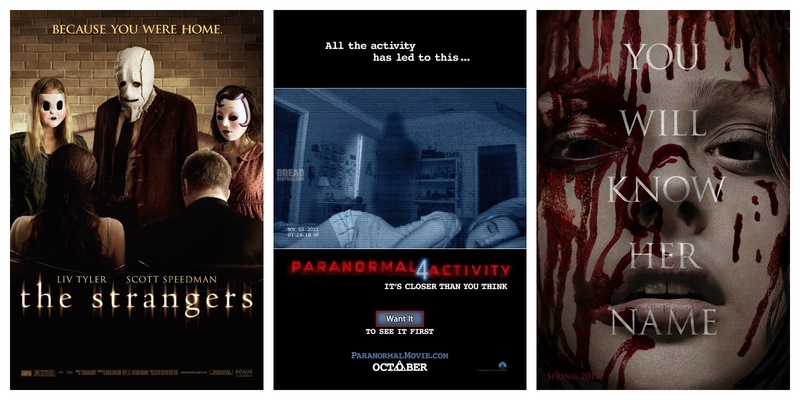 G and I watched The Strangers and Paranormal Activity 4 today. The Strangers is really good; reminds me of The Purge. I also want to see the new Carrie movie. If we go see any movie in theater, though, I think it’s going to be Bad Grandpa; the previews have been hilarious. Scary movies are the absolute best! I live out in the middle of nowhere and always scare myself silly when I watch them at night haha! 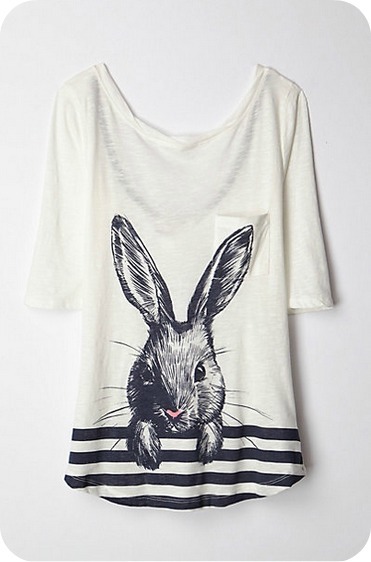 I love the rabbit shirt! that shake shake sounds so awesome. I cannot watch scary movies. I'm too much of a baby. did you know you have word verification on?! just go to settings –> post and comments and turn it off! No I had no idea x)!! I hate those; I turned it off. Ahhh I've never had Shake Shack, but definitely want to try it!!! Too bad there aren't any on the West Coast! I'll just stick to my In N Out in the meantime 😉 Speaking of… now I want a burger. haha! And ummmm I need one of each of those Anthro shirts, thanks. Especially the rabbit and the hedgehogs!! Shirts with animals on them are my downfall. Speaking of animals, your cat is adorable. And hilarious about the plastic bags! Cats are so sneaky. Yep, I tried to make it sound reasonable to buy one of those shirts for every day of the week, but logic just doesn't let it work.